Graduate Fashion Week 30 May-2 June is slowly coming up for Fashion Design Graduates who are graduating from their course this year. 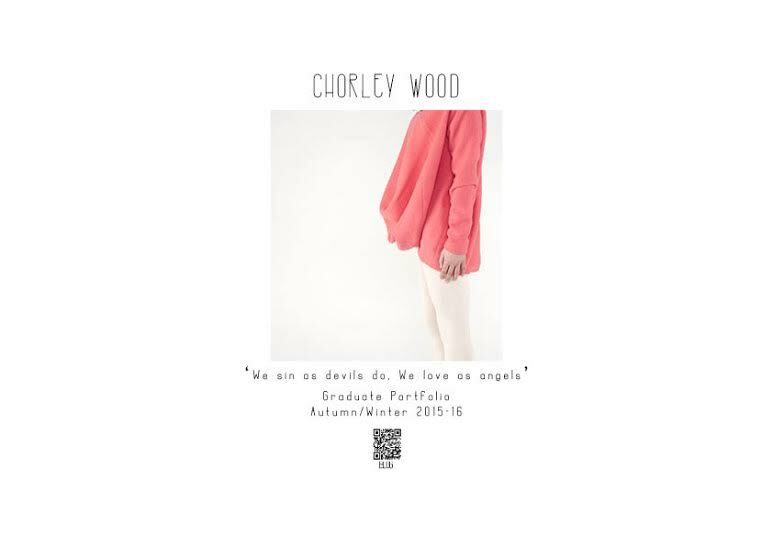 To kick the graduate event off I am starting off by showcasing Sheffield Hallam’s own Fashion Design graduate Chorley Wood who will be showcasing her collection based on the themes highlighted and titled : 'We sin as devils do, we love as angels' . Behind the scenes of the making of the collection based on the running themes of the titled collection Woods introduction to fashion and design came at a young age when realising her potential in the creative industry. Wood reflects a sense of youth and fun with innovative designs. With a plain and simple image herself, she aims to create comfortable unrestricted pieces that are relaxed and wearable. Her garments tell deep and meaningful stories imitated using playful, bouncy and lively shapes. Her mission is to support high-end fashion that is manufactured in the UK. To have winter wear that can continue to be worn into future winters. Why are you only fashionable if you follow trends? Her opinion is that you should be able to wear what you like, when you like. Wood’s We sin as devils do; we love as angels-Fall Star, is an Autumn/Winter 2015-16 Womenswear collection. It is the exploration of some; humans need to overindulge in anything and everything. Gluttony extends far beyond the table; it is an all-consuming addiction to always wanting more. The collection is a mix of creative pattern cutting techniques to produce oversized silhouettes, portraying the voracious image of man, along side simplistic fitted pieces to create the illusion of a larger than life silhouette. Wadded knits take unrestricted forms for creating the consuming appearance. Knitted accessories surface appeal, intrigue and delight with stimulating designs that create a sense of fun and play. 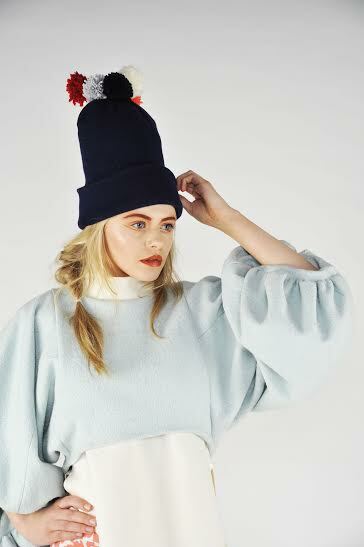 This collection reflects a sense of youth imitated using playful, bouncy and lively shapes. Casual jersey and wool materials form comfortable garments that are unrestricted and easy to wear. Between Woods experimentation with silhouettes and ensuring that mantra of easy to wear clothing comes with a clear palette of neutrals from the running palette of white whilst, reds and peachy palette run a more block and pattern effect of the garments featuring in the collection. A pastel colour of blue beautifully comes into the collection which features subtly with the neutral palette from the under layers of white. Which brought together with Woods design innovation with the colour palette brings out the mantra of easy to wear clothing yet also allows a playful metaphorical presence to be captured when the garments feature in the collection are worn. Which I love! Overall this collection by Woods which is scheduled to be shown during Graduate Fashion Week this year is going to be a playful presence down the runway as well as being captured on camera. Woods designs skills and her natural presence to design will ensure her an emerging journey of design in the future whilst, allowing that fun and her own personality to be brought to life through her passion and skill of creativity of design through the drawing board stages and physically within the clothing. I wish Wood good luck. To find more information about Graduate Fashion Week click here.